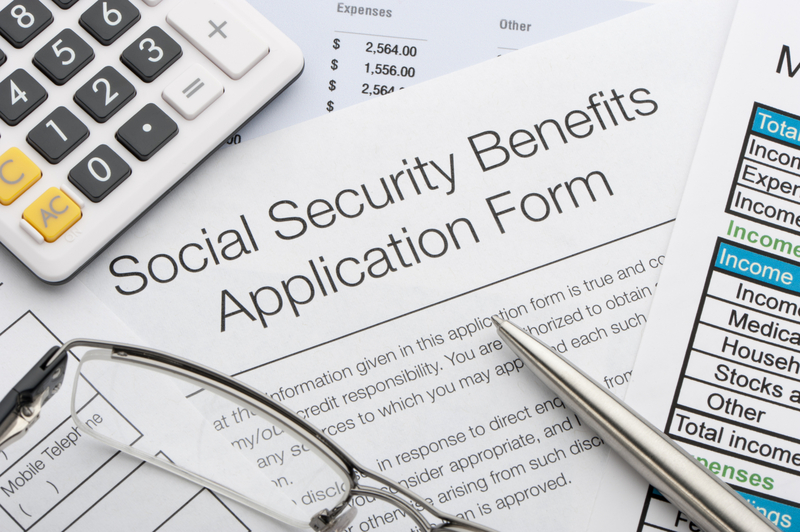 As part of recent negotiations between Congress and the White House over the budget, major changes to Social Security took away some key strategies that couples could use to boost their total benefits. Under this strategy, a higher earner at full retirement age (currently 66) would claim his benefit, enabling his lower-earning spouse to claim a spousal benefit (generally half of the higher earner’s benefit). He then immediately would suspend his benefit so that he could earn 8% a year in delayed retirement credits until he reapplied up until age 70. In the meantime, his lower-earning spouse would collect monthly spousal benefits. This new legislation will change the rules so that if someone suspends benefits, no one can collect based on his earnings record. That puts the kibosh on the spouse’s benefit. That means that people who are getting benefits now under the strategy will continue to receive them, and those who want to try to maximize lifetime family benefits using this strategy will be able to for a while longer. You must be at least age 66 to use this tactic, and the window will probably close around May 1, 2016. Another useful benefit of the file-and-suspend strategy is that it can greatly enhance the opportunity to collect benefits retroactively. Generally, Social Security will not pay more than six months’ of benefits retroactively. But, for those who file and suspend at age 66, any benefits due from that point on can be collected retroactively. Let’s say you file and suspend at 66 to earn delayed retirement credits, but become ill at 69. In that case, you could collect three full years worth of benefits retroactively if you were willing to forfeit the delayed retirement credits. This change in Social Security wipes out this option. Under the current rules, if a beneficiary applies for benefits between ages 62 and full retirement age, that beneficiary will be paid the highest benefit he is entitled to — whether that is his own benefit or a spousal benefit. By waiting to full retirement age to claim, a beneficiary has had the opportunity to “restrict an application to spousal benefits only.” The reward: You could collect the spousal benefit while allowing your own benefit to grow thanks to 8%-a-year delayed retirement credits. There’s a caveat: Anyone age 62 or older at the end of 2015 is spared this clampdown. They will continue to have the option, at age 66, to restrict an application to spousal benefits only. Couples in this situation will have to carefully weigh whether the lower earner should trigger his benefit in order for his spouse to claim a spousal benefit. Equal earner couples who both want to delay their own benefits may want to forgo bringing in income through a spousal benefit so that they can both boost their benefits. Couples who have unequal benefit amounts could find it advantageous to have the lower earner claim his benefit and have the higher earner file a restricted application for a spousal benefit. While these claiming strategies will disappear, some key Social Security rules that allow beneficiaries to boost benefits will remain. Beneficiaries will still be able to earn delayed retirement credits of 8% a year up to age 70 if they wait past full retirement age to claim benefits. Also, a beneficiary will still be able to voluntarily suspend his or her own retirement benefit at age 66 or later, as a beneficiary can do now. That’s good news for someone who claims a reduced benefit early, but later wishes he hadn’t. Once he reaches full retirement age, he can choose to suspend his benefit to earn delayed retirement credits up to age 70 to erase most of the reduction from claiming early. Should You Complete The Medicaid Application Yourself? Simply stated, the answer is “No”, “No”, and “No”. There are no instructions to explain how to fill-out the Medicaid Application. Consequently, this results in many hidden traps that could have been avoided. I have a retired attorney friend who believed he could help his family member complete the Medicaid Application–he ended up receiving a “first-look denial” of benefits for that family member. Medicaid workers, at most offices, do not know how to fill-out the application, nor do they have a vested interest in your cause. Remember, it is the function of the Medicaid office to deny you benefits that you are entitled too! It can become very adversarial at times. 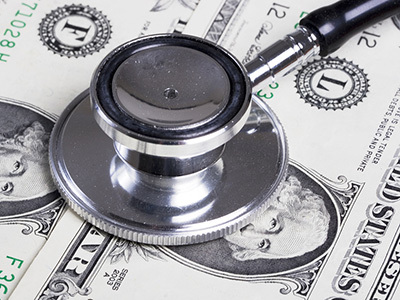 Medicaid wins when you get frustrated with the system and drop your claim for benefits. The private pay rate for a local nursing home is typically anywhere from $7,000 to $10,000 per month depending upon services needed. Mistakes can be very costly. If you are facing a long-term care situation in your family, please do not hesitate to contact our office at (888) 829-0894 to disuss your matter–we are here to help. 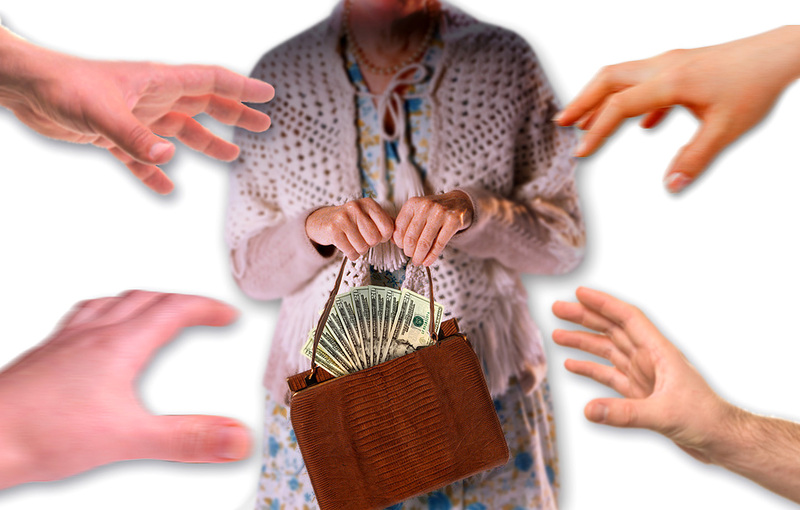 With difficult economic times, we also experience an unfortunate increase in elder abuse. Financial exploitation takes many forms. 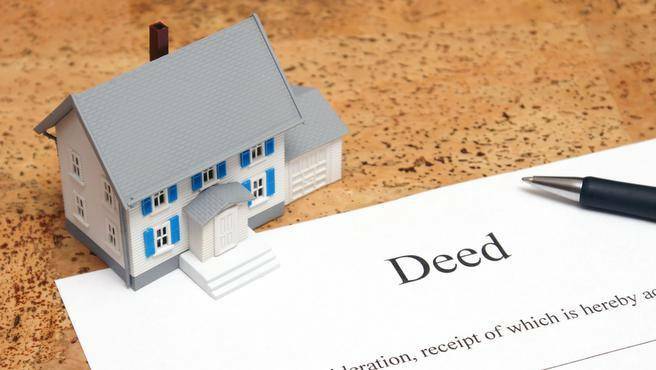 Those include taking money or property, forging an older person’s signature and getting an older person to sign a deed or will through deception or coercion. Family members can be undetected predators. Most cases of financial exploitation involve family members. Usually it’s someone who is dependent on Mom and Dad. They need that big pot of money. They’re unemployable, or didn’t try to work, or have substance abuse problems. They end up isolating Mom and Dad. The other kids are not sure what’s going on. It’s easy to transfer the house to their name or take out mortgages on the house. They might use some of the money for Mom and Dad, but they use some for themselves, too. Increased longevity is contributing to the problem. Children with a sense of entitlement grow increasingly impatient awaiting their inheritance. Michigan has an elder abuse hotline: 1-855-444-3911. Signs of potential financial exploitation can include unpaid bills, withdrawals from bank accounts and transfers that the older person cannot explain. Sometimes a predator becomes the new “best friend,” getting access to funds and bank accounts. Anyone can call the hotline and report the abuse. If you suspect an elder you know is being abused please call. An investigator will be assigned to look into the situation. Pay attention to estate planning. To guard against such problems, legal and financial advisers suggest taking care of estate planning early. Picking who you know and trust as health care agent and durable power of attorney is very important. Do it while you have the mental capacity to make the best possible decision for yourself. If possible, let other people know about it. If putting adult children in charge is problematic, consider hiring a third party — an attorney, a CPA — who is not emotionally attached. By planning early and letting everyone know what the plan is there is less chance that the senior will be taken advantage of in the future. Arrange for direct deposit of Social Security checks and other retirement benefits. Do not give anyone access to your ATM cards or passwords. Take great care in choosing someone to appoint as power of attorney and in completing or revising a will. Be careful about permitting family, friends or tenants to live in your house. Have a written agreement about expectations of services to be performed or rent paid. Treat home attendants like employees, not friends. Keep valuables hidden if someone comes into the house on a regular basis. Maintain contact with family, friends, neighbors and/or your community center. The more active you are, the less likely you are to be exploited. If you need help establishing your estate plan, call our office for an appointment at 888-829-0894. A durable power of attorney and a health care proxy/patient advocate are two very important estate planning documents. Both allow other people to make decisions for you in the event you are incapacitated. Because the individuals chosen will have to coordinate your care, it is important to pick two people who will get along. A power of attorney allows a person you appoint — your agent or “attorney-in-fact” — to act in your place for financial purposes when and if you ever become incapacitated. A health care proxy is a document that gives an agent the authority to make health care decisions for you if you are unable to communicate such decisions. While the health care patient advocate is the one who makes the health care decisions, the person who holds the power of attorney is the one who needs to pay for the health care. If the two agents disagree, it can spell trouble. For example, suppose your health care agent decides that you need 24-hour care at home, but your power of attorney thinks a nursing home is the best option and refuses to pay for the at-home care. Any disagreements would have to be settled by a court, which will take time and drain your resources in the process. The easiest way to avoid conflicts is to choose the same person to do both jobs. But this may not always be feasible — for example, perhaps the person you would choose as health care proxy is not good with finances. If you pick different people for both roles, then you should think about picking two people who can get along and work together. You should also talk to both agents about your wishes for medical care so that they both understand what you want. Before transferring your home to your children, there are several issues that should be considered. Some are tax-related issues and some are non-tax issues that can have grave consequences on your livelihood. Second, if you gift the home to your kids now they will legally become the owners. If they get sued or divorced, a creditor or an ex-in-law may end up with an interest in the house and could evict you. Also, if a child dies before you, that child’s interest may pass to his or her spouse or child who may want the house sold so they can simply get their money. Third, if you give the kids the house now, their income tax basis will be the same as yours is (the value at which you purchased it) and thus when the house is later sold they may have to pay a significant capital gains tax on the difference. On the other hand if you pass it to them at death, their basis gets stepped-up to the value of the home at your death, which will reduce or eliminate the capital gains tax the children will pay. Given the multitude of tax and practical issues involved, seek counsel before making any transfers of property. We are here to help you–just give us a call at (888) 829-0894. With only one week remaining until this year’s tax filing deadline, the Senate Special Committee on Aging has announced that the Committee’s fraud hotline is experiencing an increased number of reports of scam artists who call seniors pretending to be IRS officials. Through this scam criminals generally demand immediate payment and threaten retaliation, such as home foreclosure and even arrest, if payment is not made. The IRS will never call a taxpayer to demand immediate payment, nor will the agency call about taxes owed without first having mailed a bill. The IRS will never demand that a taxpayer pay taxes without giving him or her the opportunity to question or appeal the amount claimed to be owed. The IRS will never ask for a credit or debit card number over the phone. The IRS will never threaten to bring in local police or other law enforcement groups to have a taxpayer arrested for not paying. If you are concerned that you, or a loved one, has been a victim of such a call or other related contact, please report the incident to the Aging Committee’s toll-free Senior Fraud Hotline: 1-855-303-9470. These reports enable the Committee to investigate and help put a stop to scams targeted to seniors. 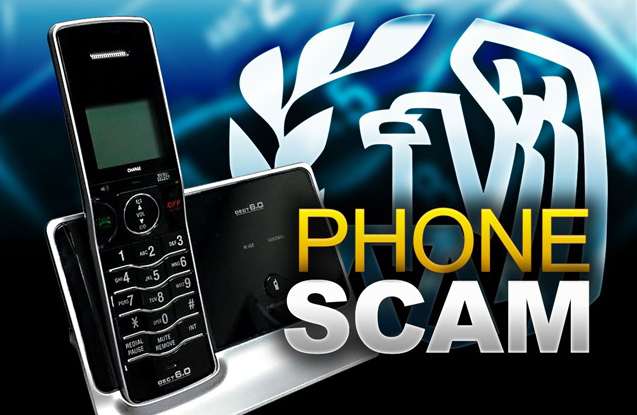 In addition to calling the Aging Committee Fraud Hotline, seniors can report potential instances of scams or fraud to the local division (Detroit) of the FBI or the Michigan Attorney General’s Office. You buy a dilapidated house and in the course of renovations you find a huge amount of money hidden in the walls. The cash is yours, right? Not according to an Arizona appeals court, which ruled that $500,000 found in the walls of a house belongs to the heirs of the man who put it there, not to the house’s current owners. Robert A. Spann had a habit of hiding cash and other valuables in unusual places in the homes he lived in. His two daughters knew of his pattern, and for seven years after he died in 2001 they found stocks and bonds, as well as hundreds of military-style green ammunition cans, some of which contained gold or cash, hidden throughout his Paradise Valley, Arizona, home. In 2008, the daughters sold the rundown house “as is” to a couple. The couple did some remodeling, in the course of which a worker for the contracting company found two ammunition cans full of cash in the kitchen wall and another two inside the framing of an upstairs bathroom. The cash totaled $500,000. After the worker reported the find to his boss, the boss took the cans but did not tell the couple who owned the house about them. The worker, however, eventually informed the couple of the discovery and the police ultimately took control of the $500,000. The couple and the contractor sued each other for the money. In the meantime, Robert Spann’s daughter Karen Grande, who was the personal representative of his estate, filed a petition in probate court on behalf of the estate to recover the money. The two cases were consolidated in June 2009. In a May 31, 2012, ruling, the Court of Appeals of Arizona agreed with the trial court. The court ruled that while “finders keepers” may work on the schoolyard, in Arizona in order to abandon personal property, “one must voluntarily and intentionally give up a known right.” The court finds that because there is no evidence that Mr. Spann’s estate intended to relinquish any valuable items in the house, the money is more properly characterized as “mislaid” and still belongs to the estate. Interestingly, an Oregon appeals court came to a different conclusion in a very similar case in 2008. Well….. I’m off now to tear up the walls to my home!!! Last week we tragically lost an entertainer who played a major role in the lives of many. Usually when a celebrity dies I read about how their estate plans went awry and how they did everything wrong, but today I am pleased to report that I am able to discuss one celebrity who may have done things right. Early reports, citing TMZ (seriously, where do they dig this stuff up and how ridiculous is it that I am citing it? 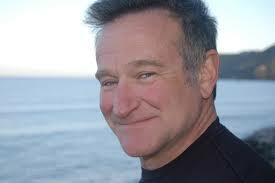 ), indicate that Robin Williams may have used a revocable trust as his primary vehicle to transfer his assets at death. There are a number of reasons a revocable trust may be the perfect estate planning tool, but primary among them is privacy: a revocable trust is a private document that normally will be unavailable to the public, an important consideration for a public figure. In contrast, consider the cases of Phillip Seymour Hoffman and James Gandolfini, among others, whose wills and dispositions from their large estates were on public display. A will is a public document, filed with the court in a probate proceeding, and as such is available to the public; a trust is not automatically subject to probate or court jurisdiction. If a client-say a celebrity, an athlete, or even a resident of a small town full of nosy neighbors—ever has a need for privacy, the revocable trust is the preferred instrument. A revocable trust can also reduce (but not eliminate) the possibility of intra-family drama surrounding the estate plan. A revocable trust avoids a probate proceeding, without which no notice to family members and heirs is necessary. Only the named beneficiaries need to get notice of the distribution from a trust, unlike in probate where all defined heirs, along with named beneficiaries, are required to receive notice. This means that a child or someone else who intentionally may have been excluded as a beneficiary will receive notice and will be an interested party in a court-supervised probate proceeding. It is still possible to bring action to determine the validity of a trust, or to contest distributions from a trust, but a party who might wish to press such claims may never even receive notice that the trust exists. Just because Robin Williams appeared to have used a revocable trust instead of a will as his primary estate planning vehicle doesn’t mean his estate plan was perfect, but it does mean he was able to ensure that the division of his assets will remain private. One caveat: revocable trusts are only helpful if you have actually transferred your assets to the trust. Funding the trust is crucial and you should always work with a qualified estate planning attorney to coordinate the details. Are You Disabled? Do you have a Disabled Child? If so, did you know an inheritance could cost you your benefits? People with disabilities have special needs. Often the person on disability relies on certain governmental benefit programs such as Medicaid or Supplemental Security Income (SSI) for support and medical insurance. These programs have strict income and asset eligibility requirements. A well intended inheritance could in fact cause the person to lose important benefits. Proper planning can avoid these problems. In our office, we often have parents of a disabled child tell us that they plan to disinherit the disabled child and leave their estate to another “well” child whom they expect will “look after” the disabled child. While these parents have good intentions, this can be a recipe for disaster. The healthy child has no obligation of support for the disabled child and could, without any legal consequences, keep all of the inheritance. Parents will then tell us “my child would never do that.” But then we ask: what if your child gets divorced, dies, is disabled or is in a car accident? The money could then be lost through no fault of the well child. Are you willing to take this chance when there is a safer solution? The safer solution is to create a Supplemental Needs Trust (SNT) for the benefit of the disabled child. In the parent’s Will or Trust the parent leaves the disabled child’s share to the SNT rather than directly to the disabled child. The funds in a properly crafted SNT should not disqualify the disabled child from benefits. The funds should then be available to help pay for services and “extras” not paid for by the programs. It creates a nest egg for the disabled child and should be protected from the claims of the Trustee’s creditors. For example, Mom and Dad, in their Wills, leave $50,000 to a SNT created by them for the benefit of their child, Mary, who has Down’s Syndrome and is dependent upon Medicaid for her health insurance. The Trust assets should not disqualify Mary and can be used to pay for things such as extra medical care not covered by Medicaid, or a vacation, or clothing, or perhaps even a car! After Mary dies, any money remaining in the trust will be paid out to whomever Mom and Dad designated when they created the SNT. A competent elder and special needs attorney can guide families through the difficult issues to create an estate plan that follows the family’s wishes, cares for the disabled individual properly and allows for continuation of government benefits. If you have a loved one dependent on government benefits for support, we encourage you to call our office because we have experience in special needs. Buy enough life insurance. A parent is irreplaceable, but someone will have to fill in if the worst happens. It may be siblings or other relatives. In all likelihood, the family will have to pay for at least some services the parent or parents had provided when able. If the estate is not large enough for this purpose, it can be made large enough through life insurance proceeds. Premiums for second-to-die insurance (which pays off only when the second of two parents passes away) can be surprisingly low. Set up a trust. 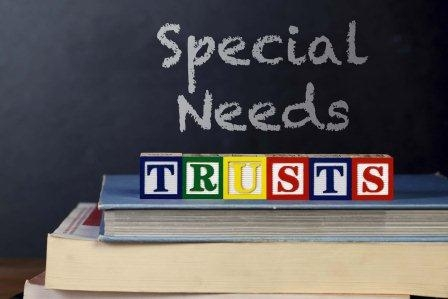 Any funds left for a child with special needs, whether from an estate or the proceeds of a life insurance policy, should be held in trust for his or her benefit. 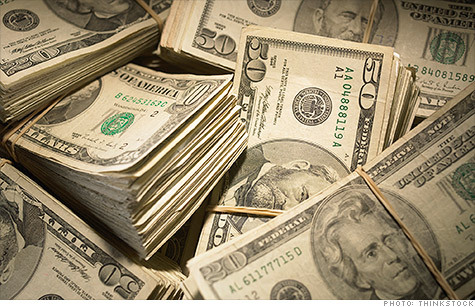 Leaving money for anyone with a special need may jeopardize public benefits. Many people with special needs cannot manage funds — especially large amounts. 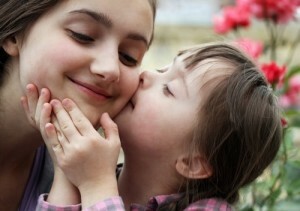 Some families disinherit children with special needs, relying on their siblings to care for them. This approach is fraught with potential problems. Siblings can be sued, get divorced, disagree on their responsibilities, or run off with the funds. It can also cause tax problems for the siblings. The best approach is a trust fund set aside for the child with special needs. Create a Will and appoint a guardian. While a Will and the appointment of a guardian is important for anyone with minor children, it is doubly so if the child has special needs. Finding the right guardian can be difficult. In some cases, the care needs of the child may be so demanding that he or she will need a different guardian from his or her siblings. The parents need to make these determinations while they can. The Will is the vehicle for the appointment of a guardian. An adult child may also require a guardian when the parent can no longer serve in this role (whether officially appointed or not). It will probably not be legally possible to officially appoint a successor guardian once the parent is out of the picture. So, it may make sense to begin making the transition to a new guardian while the parent is able to assist in the process. This can be in the form of a co-guardianship, or passing the baton to a successor guardian. Write down the care plan. All parents caring for children with special needs are advised to write down what any successor caregiver would need to know about the child and what the parent’s wishes are for his or her care. Should the child be in a group home, live with a sibling, be on his or her own? Usually, the parent knows best, but needs to pass on the information. The memo or letter can be kept in the attorney’s files with the parent’s estate plan. Coordinate with other family members. Even a carefully developed plan can be sabotaged by a well-meaning relative who leaves money directly to the child with a special need. If a trust is created for the benefit of the child, grandparents and other family members should be told about it so that they can direct any bequest they may like to leave to that child through the trust. Thomas J. Wall, Jr., Esq. Michigan estate planning lawyer & attorney Thomas Wall of the Wall Law Group, offering services related to trusts, revocable trusts, living trusts, guardians, asset protection, business succession, legacy building, wealth preservation, wills, probate matters and estate taxes, serving Macomb County, Oakland County, Wayne County and Southeast Michigan. This Blog/Web Site is made available by the lawyer or law firm publisher for educational purposes only, as well as to offer general information and a general understanding of the law, not to provide specific legal advice. By using this blog site you understand that there is no attorney client relationship between you and the Blog/Web Site publisher. The Blog/Web Site should not be used as a substitute for competent legal advice from a licensed professional attorney in your state.